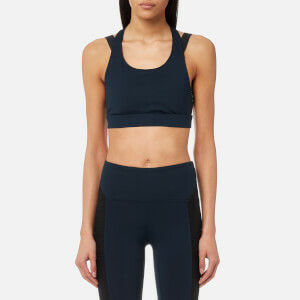 Women's high impact sports bra from Koral. 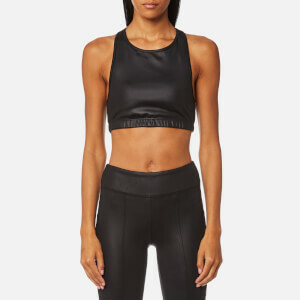 Crafted from stretch fabric for ultimate support, the 'Posture' gym bra offers moderate coverage, and has been designed with a scoop neck and contrast back panel with baroque detail. Complete with subtle branding to the back. Fabric 1: 85% Nylon, 15% Spandex. Fabric 2: 60% Polyester, 40% Nylon. Lining: 72% Nylon, 28% Elastane.